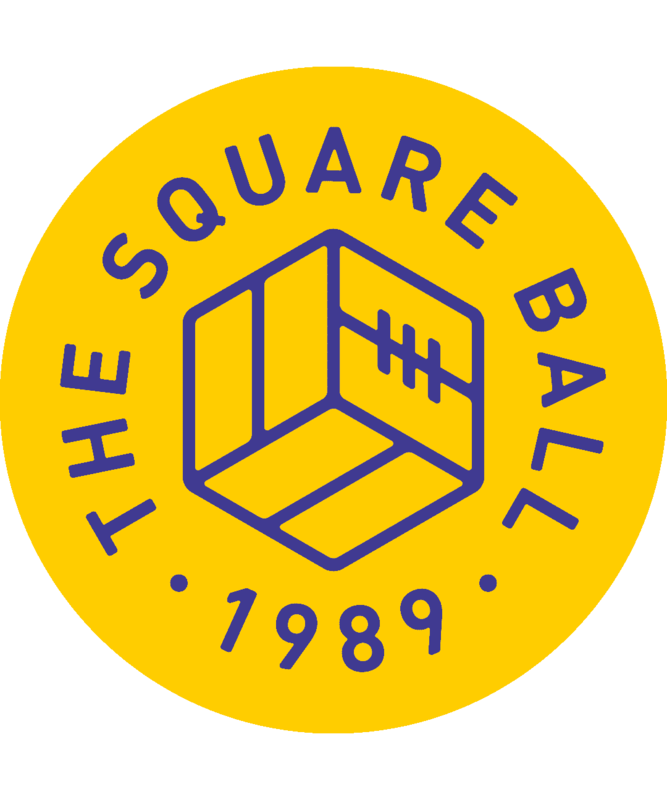 The tenth issue of The Square Ball’s twenty-eighth season is available to buy now online, or from one of our friendly sellers outside Elland Road before the QPR game, our blessed last of the season. If you want to try before you buy, this article by Jon Howe, about falling out of love with Leeds, is free to read by clicking here. And if you like the cover and want that on your wall, limited edition A3 prints can be bought here until midnight on Monday 7th May. 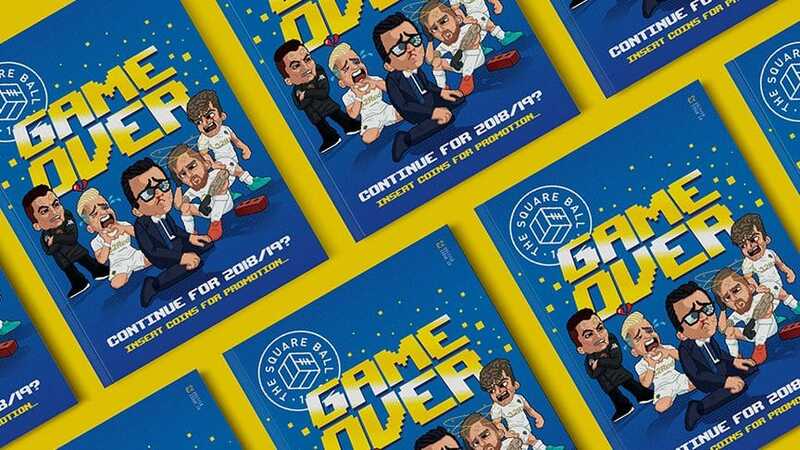 If you don’t think you can get through the next three months without us, click here to pre-order our 2018 Summer Special, coming in June: more pages, bigger pages, but the same old Leeds. Issue 10: Editor’s Note — After a season of public relations, this is the stark reality of where we end it. Issue 10: Dear Diary — The best part is when it’s all over. Issue 10: Heroes & Villains — This month, it was pretty obvious. Issue 10: Propaganda — Another month of exemplary public relations. Saturday 5th May 1990 by Moscowhite — It must be our turn soon. Tomorrow People by David Guile — In 1997 we were watching Richard Jobson in the first team, but had Jon Woodgate in reserve. Is history repeating at Thorp Arch? Real Radrizzani by Moscowhite — After eighteen months, what are Andrea Radrizzani’s real reasons for owning Leeds United?. Tyler the Creator by Ben Whitelaw — January signing Tyler Roberts hasn’t made his Leeds debut yet, but that’s no bad thing. No Love Lost by Jon Howe — What happens when loving Leeds United becomes hating Leeds United, but you can’t tell the difference anymore. This article is free to read for non-subscribers. The Kings of IAM by Andy P — While the end of the season has given us nothing to watch on the pitch, Andrea Radrizzani brought all the attention back to him. The Unforgiven by Anthony Crewdson — Berardi’s ten games missed through suspension this season has one rival at Leeds: Billy Bremner, who missed eleven in 1974/75. Is Dirty Leeds only okay when we’re winning? Preparation Meeting Opportunity by Dylan Thwaites — At the Leeds Fans United AGM, there was positive news about fan ownership — and a deadline for achieving it. Too Young To Be So Old by Calum Archibald — While everybody’s excited about the new Academy prospects, the old ones haven’t grown much older. Owners & Politics by Charlie Phillips — Radrizzani was supposed to be better than Bates, GFH and Cellino. So it’s even more important to take a stand when he’s wrong. In Search of Lost Temps: 100 Loans Part 10 by Rob Conlon & Wayne Gamble — This season marked the end of a long journey for Leeds United, a journey we’ve been on since 2004. The Great Misdirection by Steven York — Maybe all the weird goings on are deliberate distractions? Caleb Ekuban by Moscowhite — What price a smile in football? John Lukic by Moscowhite — Until he came back for a million quid and won the league, John Lukic was more of a curio than a legend at Leeds.